When owning a business or investing in someone else’s item or business, it is important to understand the up-and-coming world of technology and marketing. With this being said, how can you use marketing effectively to obtain a good return on investment (ROI) status. First, What is a return on investment? 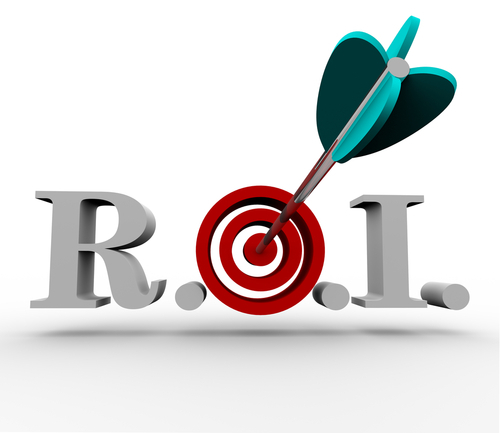 ROI is a calculation of a particular goal and an annual revenue or profit goals, allowing you to calculate the amount of money you should spend on marketing. Since technology is basically everywhere and is used for almost everything, marketing has steadily increased in this regard. Companies that use data driven marketing have seen an improvement in how the customers view their investment. One of the biggest problems investors face is making sure they have a targeted ROI as this will help stay on budget. An example would be using social media to know what kind of marketing your audience engages with the most. This will benefit your business as you will invest more time and money into something you know your customers will have their attention drawn to. If you are spending money to make a video, but nobody watches it, your ROI will decrease as the goal will not be met. Another benefit that can help marketing skills is using competitive data to your advantage. It does not hurt to see what works for others so incorporate their tactics along with your own. Knowing where you are ranked compared to your competitors may amp up your marketing strategies. There are websites that can be used to monitor audience demographics see how often they may have viewed your page and what caught their attention. A very important aspect of marketing is knowing where your audience is. If you have ever heard that location is everything, this statement holds true. Know the people you are targeting. If you want to target young adults, and you know their generation is based within social media such as Facebook and Instagram, you might want to put up a post or an image of something that they can relate to.